Does Kylo Ren and the First Order Worship at the Altar of Vader in ‘Star Wars: The Force Awakens’? One of the most enigmatic characters to come along in a while, Kylo Ren, has captured the imagination of many Star Wars fans. From the unconventional lightsaber to the baddass outfit, he may be this generation’s Boba Fett. I like that J.J. Abrams doesn’t want to give too much away before the film comes out. Sometimes it’s better to find things out in the theater. But in a recent interview with Empire, Abarams decided to spill the beans on some aspects of Kylo Ren…and in typical J.J. Abrams fashion those answers only yielded more questions. So he definitely works for the Dark Side. Check. But he may not even be a part of the First Order, just a merc for hire. But what about the CGI rendered Snoke and his First Order? What role do they play? Apparently Abrams said that the First Order isn’t made up of only former Imperial Officers though. They “all came out of conversations about what would have happened if the Nazis all went to Argentina but then started working together again” instead of going into hiding? Are you telling me that the First Order worships Darth Vader and looks upon his visage like a holy image? That’s a little insane…but also kind of cool. I mean, haven’t we as fans been doing that for the last thirty years ourselves? 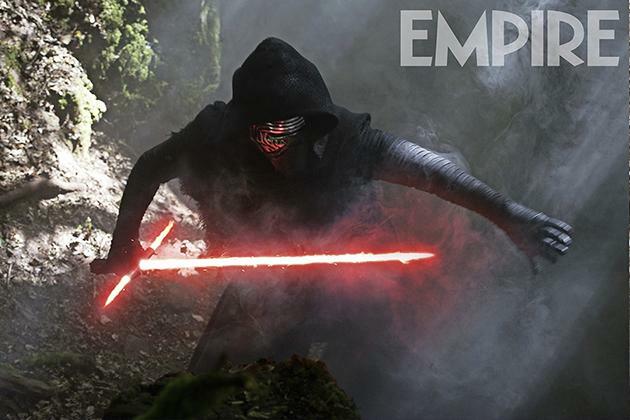 Either way, we’ll find out for sure on December 18, when Star Wars: The Force Awakens hits theaters. This entry was posted in Breaking News, Film, Star Wars and tagged adam driver, JJ Abrams, Kylo Ren, Star wars, Star Wars: The Force Awakens, The Force Awakens. Bookmark the permalink.